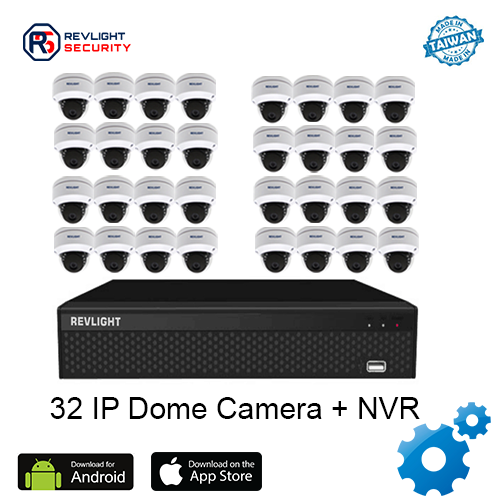 Our 32 Camera NVR Security System Consists of 32 IP camera including one 32 channel nvr system with 5 TB video recording storage, which has 1 year warranty. This package with FREE 23″ Monitor and PVC casing included. 32 Camera IP Security System are a big investment that can prove o be an asset in the future. Fewer break-ins, less property damage, cheaper liability insurance are a few of the possibilities installing a surveillance camera system can bring. Getting the best HD CCTV camera not only gives you protection, but also a clear picture with 1080 lines of resolution. Equipped with wall/ceiling easy-mount brackets and weatherproof housing, our cameras can be used indoors or outside just about anywhere. Save money in the long-run with a surveillance camera system. 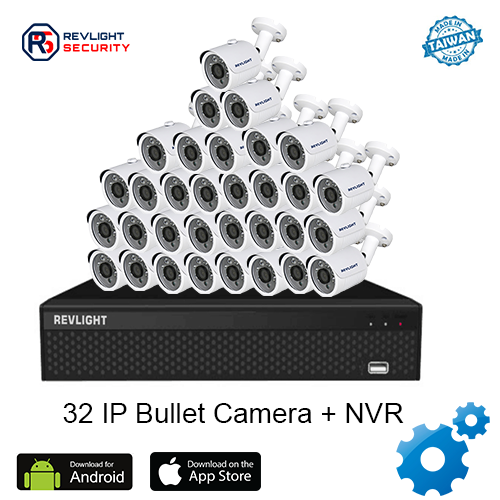 Call our Revlight Security CCTV Team experts today for a free consultation at +65 6678-6557. Get the best IP security camera system for your business today!